On the Twelfth Day of Blogging, My Attorney Gave to Me- A Bill. LLB:XII, Picking an Attorney, Pt. 3. Today, in our multi-part guide to picking the correct attorney, we will discuss the customary and usual billing practices of attorneys. And the answer is simple. I’m writing, you’re not paying me, and I’ll get to the point whenever I damn well feel like it. Also? Peter Jackson is awesome, he should have made at least five more endings for Lord of the Rings and four more Hobbit movies, and I can’t wait to to travel to New Zealand! Gollum is real, right? And, uh, you have to know how your enemy attorney operates before you can begin to understand the difference between a “not-terrible” attorney and a soul-crushing lawyer who will never return your calls, overbill you, and transform your life into a discarded painting from Hieronymous Bosch. Insurance. While not technically “free,” if someone is suing you, but really going after your insurance policy, the insurance company will have an attorney represent you. And by you, I mean the insurance company. Public Interest. There are various groups (ACLU, Institute for Justice, Ma & Pa’s Rib Shack and Home of Good Ol’ Fashioned Man on Woman Lovin’) that exist to promote various causes. If your case would advance their cause, they might help you out. Clinics. I use this term loosely, as it encompasses a number of different programs. It could be the local law school letting their students try to practice “real law” on the unsuspecting populace. It could be a specialized clinic to help poor people through the court system. It could be any of the legal services that exist to help provide the lumpenproletariat with legal representation and advice. Do not confuse the term “clinic” here with the place you went to ask questions about the oozing sores on your genitalia. Despite the long delineation of various ways to get free attorney advice, the only way you are guaranteed to get free representation is to commit a crime, get caught, and have no money. Which, if you really need to talk to an attorney ... it will work, but is not highly recommended. “Let’s go eat sushi and not pay,” is not an effective philosophy of life. Assuming you have resigned yourself to helping some poor soul pay off their law school debt, then you should be aware that there are three primary ways to bill a client, with each having advantages and drawbacks. 1. Contingency. This is a variation on the “free lawyer” standard; what it means is that the lawyer only gets paid, if you get paid. The payment to the attorney is ... wait for it... contingent on your recovery. This is usually expressed in a percentage (say, 25% - 40%) of the total recovery (read- settlement). This arrangement is common in personal injury cases and other cases favored by Plaintiff’s attorneys. Many things don’t lend themselves to contingency fee arrangements. Criminal cases, drafting a trust, getting a divorce, getting your neighbor, Seamus, to stop his dog from pooping in your yard, and so on. Contingency cases almost always entail you asking an attorney to sue someone for lots of money for some real harm done to you- you know, like running you over (three times), or that company that sold you a lawnmower with the randomly detachable blade. On the one hand, the attorney has a professional and ethical responsibility to represent your best interests, and any settlement has to be approved by you. On the other hand, money. More bluntly- the attorney’s time is the attorney’s money. Let’s say (hypothetically) that the settlement offer is $200,000 after minimal work. Now, the attorney knows that an additional 600 hours of his work will likely result in a settlement offer of $300,000. You see the dilemma, here. If the attorney’s time is valued at $300/hour, then continuing to pursue the case is kind of crazy for him, even if it benefits you. In fairness, no one knows the future. But because it’s the attorney’s skin in the game, and not yours, these arrangements tend to favor either quick settlements, or accurate valuation, depending on whose doin’ the ‘splainin’. Recovery values. I know what you were thinking - there’d be no math. But bear with me; imagine you have a great, experienced attorney who charges $350/hour. It takes him 50 hours to file a complaint, do limited discovery, and receive a settlement in a slam-dunk case of $125,000. He charges you $17,500 for that. On the other hand, a 40% contingent fee would take out $50,000 for the exact same work. Within the contingency area is a slight sub-set of cases; certain claims (such as wage claims) are allowed a recovery of attorney’s fee, and an attorney will happily take this case “for free” (as in, their fees will eventually be paid by the defendant, if you prevail). Now, despite the caveats, let me stress this- for certain types of claims, contingency fees are the way to go. Period. Litigation is expensive, and why should you pay for it? 2. Flat fee. At first blush, this sounds like the most appealing, like going to the Sizzler for the All U Can Eat Special. But, much like the Sizzler - know what you’re doing, or the next day you’ll be regretting that decision. The best thing about flat fee billing is cost-certainty; people like certainty, even if it’s something bad. “What, the world is going to end next week? Well, I guess I’ll have to move up my Overwatch party.” But flat fees can be a very good thing in certain situations- for example, transactional work (buying and selling real estate, drafting wills, helping with LLCs and other corporate documents) and limited litigation work ($X amount to help you with that DUI, brah!). The key with any flat fee arrangement (we are ignoring large retainers and other hybrid arrangments) is that the scope of work for the lawyer is limited. Because if it isn’t- well, either the lawyer is going to start skimping on the work when he realizes it was far more complex that the flat rate he charged, or the lawyer is going to need to sit you down for a conversation about how this work isn’t covered by the six-page agreement that you signed and didn’t read. And this isn’t because the lawyer is an inherently bad person (even though he is, that’s just not the reason), but because a lot of legal work is unpredictable. Complex cases may fall apart or settle quickly. Seemingly simple cases can get bogged down in discovery disputes (“Yer honor, I’m objecting to that interrogatory because he didn’t define the term, ‘is.’”). 3. The Billable Hour. 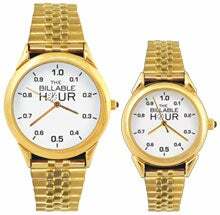 The Billable Hour is the single thing most despised by both attorneys and clients. It is the worst form of billing, except all the others. Attorneys hate it because it commoditizes their time completely. Every second of every day you aren’t working on a case, you are losing money. And clients hate it because they see, every month, in quite graphic terms, that the phone call they had with their attorney that lasted two minutes ... cost them $45 (at a billing rate of $450/hour, billed at 6 minute intervals, rounded up). Churning. Not just for butter any more! Churning refers to the practice of some attorneys to regularly “touch” files in order to bill on them. Churning is busy work that doesn’t advance the case. Uneducated clients. Some clients don’t understand that lawyerin’ really is hard work. A motion to dismiss doesn’t write itself; research doesn’t fall from the research tree; a 30 minute hearing might require several hours of preparation time, and so on. Assuming your lawyer isn’t churning (see above), your attorney should be billing you whenever he is working on your case ... because that’s time he’s not working on something else. That said, if you see “Margaritas” listed- be suspicious.